Twitter may have started off as a fun social media site for keeping up with friends and sharing updates about daily life, but it’s become much more than that for many users over the past few years as the site has evolved and grown. Twitter is ranked as one of the ten-most-visited websites worldwide by Alexa’s web traffic analysis. 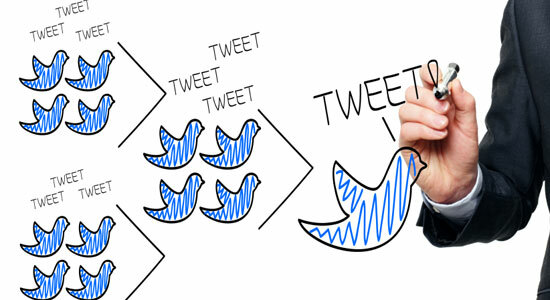 Twitter has been used for a variety of purposes in many industries and scenarios. Another use for Twitter may exist as an effective emergency communication system. 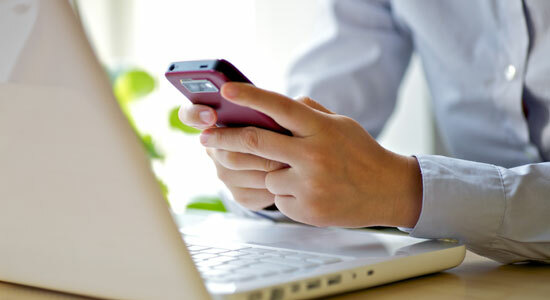 Unregistered users can read the tweets, while registered users can post tweets through the website interface, SMS, or a range of apps for mobile devices. These days, Twitter is a powerhouse for marketing, communication, business, and even education, letting people from around the world work together, share ideas, and gain exposure. Whether you’re an academic or just interested in building your Twitter profile, keep reading to learn some tips and tricks that can help you take the first steps towards using Twitter for coursework, research, building a professional network, and beyond. You have to start anywhere and these instructions will help make sure that your first venture in Twitter is a great experience. 1. Organize your Twitter. Twitter has made it simple to keep things organized and makes looking through tweets a breeze. How? With the lists feature that lets you organize those you’re following into different groups. 2. Flesh out your bio. You’ll get more mileage out of your Twitter account if you actually create a profile that says something about you, offering potential followers information about your interests, professional or otherwise. 3. Educate yourself on the basics. Learn the basic terminology for Twitter and the major functions it can perform by doing a little reading on helpful social media blogs beforehand. You’ll thank yourself later. 4. Link to your blog. If you’re the type of academic that loves blogging (and who doesn’t these days?) then make sure your posts are getting the exposure they deserve by sharing them through Twitter. Include a link to your blog in your bio, too. 5. Avoid rookie mistakes. It’s OK to make mistakes on Twitter, but there’s no sense in making dumb ones that you could easily have learned to avoid with a little reading and research. Check out this list of common newbie errors to help you. 6. Create separate accounts. If you plan to use Twitter for your classes, yourself, or just for fun, you’ll probably need separate accounts to keep everything straight and to ensure that each is focused on just one topic. 7. Learn how to use hashtags. It’s pretty much impossible to have not seen the hashtags that have been plastered on, well, everything in the past few years. But do you really know how to use them? A quick lesson can help you learn the ropes. 8. Choose a recognizable Twitter handle. You want people to be able to find you on Twitter, right? So choose a handle that they’d associate with you, usually something close to your name, your blog, or your profession will work best. Get some pointers on choosing a username from this guide. 9. 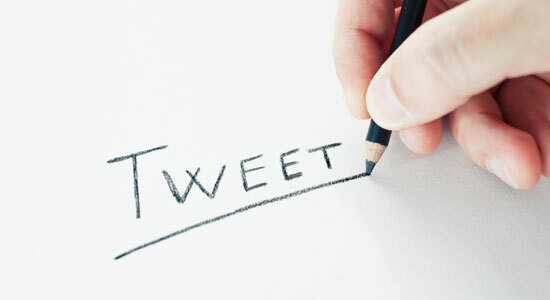 Develop a tweeting style. Before you send out your first tweet, decide what kind of tweeter you want to be. The London School of Economics and Political Science offers up three major styles here so you can learn more about the subject. 10. Stick to a core topic. Ideally, you want to keep your Twitter account pretty focused on a single topic, whether it’s your class, your professional work, or even just stupid things you find on the Internet. The more focused it is, the more useful it will be to both you and your followers. 11. Learn from others. One of the best ways to learn how to use Twitter is to spend some time seeing how others have set up and been using their accounts. Luckily, there are tons of other academics on Twitter to learn from. 12. Learn WHY Twitter is such a valuable tool. So you’ve got a Twitter account set up, so what? Take the time to learn why Twitter can be such a useful tool for education and for academics. You might be surprised. The Internet may be a virtual Wild West but there are some silent rules of commitment you should know before adding your two cents into the mix. 13. Keep private conversations private. If a conversation starts out private, it should stay that way. Don’t bring DMs into the public forum, at least not without permission; it’s just not polite. 14. If you don’t have anything nice to say, don’t say anything at all. The Internet is full of people who are all too happy to say some pretty harsh things, but just because they’re incredibly tactless doesn’t mean you have to be. Never say anything on Twitter you wouldn’t want people to find out about, or wouldn’t say in any other situation. If people are hassling you, ignore them and move on. 15. Always credit your sources. If you find a great gem on Twitter, don’t just copy and paste. Always make it clear that you’re re-tweeting someone else’s material. Not doing so isn’t just rude , it could also get your Twitter account suspended. 16. Don’t be spammy. A big part of Twitter is self-promotion, but everything you tweet shouldn’t be aimed at getting people to buy into what you’re selling. Forgetting this can make it hard to get and keep followers. 17. Let your followers know when you’re participating in a chat or conference. If you’re going to be tweeting more than usual, let your followers know in advance so they can choose to tune out if they’re not interested in your live tweeting or chatting. 18. Understand that following isn’t obligatory. If someone follows you, you’re not obligated to follow them back. The opposite is true as well, so don’t be offended if someone doesn’t follow you even though you’re following them. 19. Don’t abuse Twitter handles. Don’t tag someone in a tweet just to get their attention and hope to earn a follow. Only tag others with relevant tweets or to start a conversation. 20. Respond in a timely manner. If someone asks you a question or directs a tweet your way, respond as soon as you can, just like with email or any other digital communication, especially if you’re using Twitter in your courses. 21. Say thanks. A little bit of gratitude goes a long way on Twitter. If someone helps you out or shares your research, don’t forget to say thanks. 22. Manage your online reputation. As a professional, you’ll need to be careful about using social media. Keep a close watch on your online reputation and take action when needed. 23. Don’t be afraid to make some mistakes. No one is perfect, and if you’re new to Twitter you’re probably going to have a few gaffes along the way as you learn the ropes. That’s OK! Don’t let it slow your enthusiasm for using the social site. They don’t call it a social network just for entertaining. Twitter, similar to other online networks, requires linking with others to really be effective. Here, you’ll find some instructions that will help you branch out. 24. Ask questions. One of the best ways to connect with students and other academics on Twitter is by asking open-ended questions in your feed. You’ll start conversations and get people thinking, sharing, and connecting. 25. Keep your tweets under 140 characters. Twitter already forces you to be succinct, but you should keep things under the limit for a reason: when you shorten your tweets, it leaves room for others to chime in and retweet. 26. Start a conversation. Always admired a certain scholar? Start a conversation with him/her on Twitter by asking questions or discussing your reaction to his/her latest work. 27. Create your own chat. Twitter chats have exploded in popularity in recent months, so get in on the trend while the getting’s good. Start your own chat on an academic topic, or chime in on other bigger existing chats for a chance to network. 28. Choose relevant hashtags. You’ll make it easier for others to find your tweets if you add a few relevant hashtags here and there. 29. Take part in Follow Fridays. Every Friday, Twitter explodes with suggestions on who to follow. Offer up your own and you may just end up in someone else’s suggestions. 30. Work on your timing. Being successful with just about anything, from gymnastics to comedy, is all about the timing and Twitter is no exception. Time your tweets so that they fall in advance of big events, publications, and other professional aspects you might tweet about. 31. Tweet regularly. Twitter isn’t going to do you much good if you don’t ever use it. 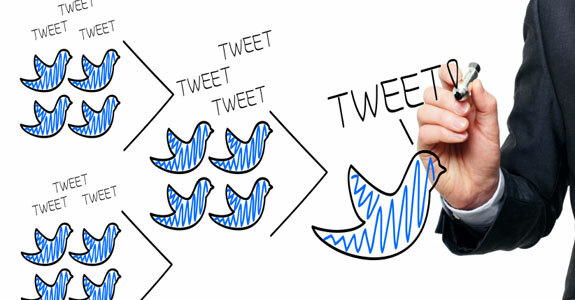 Develop a regular tweeting schedule both for yourself and for your courses that use Twitter. 32. Promote your Twitter account in other forums. Let other people know what you’re Twitter savvy by promoting your account on Facebook, on your blog, or in other online forums. You can even put it on your faculty page. 33. Seek out relevant followers who have a large following. If you’re looking to build your audience on Twitter, grab the attention of users who have a big following of their own. You might just win a few of their followers because of the connection. 34. Ask for help. One amazing way that academics can use Twitter to connect is by asking for help. Whether you need assistance in building a website, writing a paper, or finding an incredibly rare article, Twitter is full of other people who’d love to help. 35. Share what you’re reading. Taking on the latest academic journal? Found an amazing article in pop-science about your research field? Share it! If it’s interesting, it’ll probably get retweeted and passed around, and you might just interest a student or two to boot. 36. Reach out. Not everyone you connect with on Twitter has to be in your field or even in academia. In fact, you might enrich your research and your professional life by reaching out to other fields and professions. 37. Share across platforms. Connect your Facebook, Twitter, and other social media accounts so that you can easily share information to each with one click. Follow these simple instructions for using Twitter in your courses. 38. Hold after-class discussions. The learning doesn’t have to stop just because class is over. Encourage your students to bring questions and discussion points from class onto Twitter. 39. Create an online community of students. Twitter can be a great tool for building camaraderie among students and helping them to work together. 40. Ask questions relevant to course material. A daily question on your Twitter feed that’s pertinent to current course material can help to get students thinking. 41. Start backchannel talks. Whether you have students post to Twitter during class or ask them to share comments during a presentation, these backchannel talks can help facilitate conversation and provide a record of a shared learning experience. 42. Create a classroom hashtag. One way to keep classroom tweets organized is by having a shared hashtag that all students use. Just make sure no one else is using it! 43. Use Twitter for class announcements. The nature of Twitter makes it the perfect place to share class announcements, from cancellations to test times. 44. Get feedback from students. 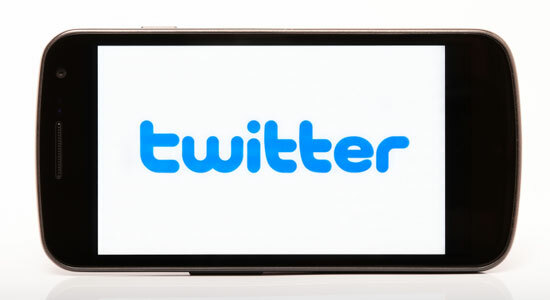 The social aspect of Twitter offers a number of ways to connect with students and get immediate feedback on course materials, lectures, tests, and other topics. 45. Share interesting online material. Don’t limit your students to reading just what’s on the syllabus. Use Twitter to send them interesting articles you’ve found online that they can easily connect to their classroom experiences. 46. Try out Outwit Me. Have some fun on Twitter and get your brains pumping at the same time with this trivia-centered Twitter game. 47. Pass on information about events. 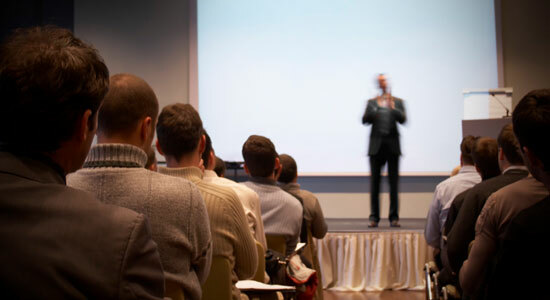 You might know about the latest conferences in your field, but students might not. Share information about talks, conferences, and other academic events they might find interesting. 48. Have a Twitter account for each class. In order to keep things from getting confusing, your best bet is to create a unique Twitter account for each of the courses you teach. 49. Link Twitter to Moodle or Blackboard. You can help push students to interact using Twitter by adding a Twitter widget to your Blackboard or Moodle site for the class. Follow the instructions here to get started. 50. Let students make the first move. Don’t force students to follow you on Twitter unless it’s part of the course. Let them decide to follow or not. 51. Lighten up. You don’t have to be super serious on Twitter to earn students’ respect. In fact, loosening up could just help improve your rapport with your students. 52. Integrate Twitter into the syllabus. If you plan to use Twitter for a course, whether in a structured way or just to supplement things, then go ahead and post the hashtags and usernames you’ll be using on the syllabus. 53. Reward participation. To really get students engaged with Twitter, make it worth their time. Give them feedback, praise, and support when they take the initiative online. 54. Know the rules about online, public assignments. Students in the U.S. are protected by FERPA, which limits the ways that coursework can be released to the public. That doesn’t mean you can’t use Twitter in class, but make sure you can justify it as an effective and necessary part of your course. Twitter can help you to build an incredible expert network, do explore, and get response on projects. Read on to learn how to get started. 55. Use Twitter for research. There are a surprising number of research opportunities to be found on Twitter, especially because so many archives and libraries have accounts. If you’re looking for something, just ask. 56. Use tweets AS research. Twitter can be a fascinating place to conduct a study and do research. The MLA has even come up with a proper form for citing tweets in papers. 57. Play BackChatter. BackChatter is a game played on Twitter that can make the backchannel aspects of a conference a whole lot more fun. 58. Share your Twitter discoveries with others. If you’re having great success using Twitter in your courses or research, why not share that experience with your colleagues? Volunteer to teach them more about Twitter. 59. Live tweet a conference. Share your conference-going experience by tweeting updates about it throughout the day to your followers. 60. Share lesson plans. Educators and academics can come together to share and collaborate on lesson plans quite easily using Twitter. 61. Collaborate with other academics. If you find you have similar interests with another academic, use Twitter to work together on research ideas, classroom solutions, and other topics. 62. Get instant advice and guidance. Not sure if your latest paper is publication-ready? Share it on Twitter for some instant feedback and guidance. 64. Connect with colleagues. If your colleagues are tech-savvy, create a departmental group on Twitter so you can all keep in touch. 65. Share your publications. Finally made it into a prestigious journal? Share your hard work via Twitter and get some exposure for your research and writing. 66. Keep up with PhD students. If you’re working with PhD students, use Twitter to keep up with their dissertation progress, offer support, and send them interesting resources. 67. Learn about the latest research. Don’t fall behind on the latest research! Use Twitter to keep up with new publications and ideas in the larger academic community. 68. Establish your brand. 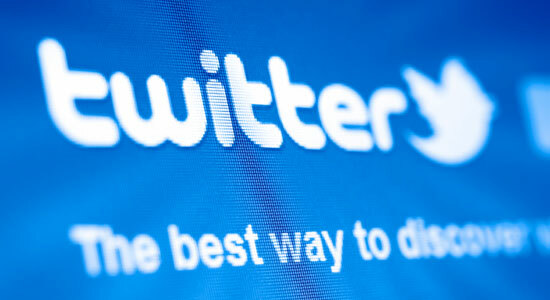 Twitter can help you to establish yourself as a big name in your given field, if you play your cards right. Work to establish a brand and to give yourself expert status online. From time to time, Twitter alone isn’t sufficient to get the job done. Try out these important applications to increase your Twitter experience. 69. Twellow. Add yourself to this online directory, in the professors category, so that it’s easy for others to find you. 70. Twitter Grader. Want to check out how well you’re doing with Twitter? Grade yourself with this handy tool. 71. Twitter Local. Put in your geographic location and a theme and find other tweeters in your area. Handy for looking up other professors, students, or local businesses. 72. Atlas. Atlas is a fascinating way to see tweets from around the world, each situated on a map. It could prove an especially valuable tool in learning about current world events. 73. Tweetdeck. Tweetdeck is an app by Twitter that makes it easier to arrange your feeds, schedule tweets, filter your content, and much more. A must for any Twitter power user. 74. Silver Bird. If you use Chrome as your web browser, make sure to get this extension that gives you access to Twitter right in your browser bar. 75. Twitpic. This popular tool makes it simple to share photographs on Twitter. 76. Twitter Counter. See how your Twitter account stacks up by checking out its stats using this online tool. 77. Storyful. Many educators use Storyful to build class stories, collecting relevant information from Twitter and other sources on the web into one amazingly easy-to-access place. 78. Hotseat. If you don’t work at Purdue, you can’t make use of this seriously impressive app, but you can use it as a model for getting your own university to embrace social media in the classroom. 79. Hootsuite. Hootsuite offers an easy way to manage your social media accounts across several different platforms, even letting your schedule tweets for when you’ll be away. 80. TweetList: If you’re planning to follow a lot of people, you’ll want to make sure to pick up this iPhone app. It makes it simple to organize and view all of your Twitter lists. Not sure how to start construction your Twitter network? Here are some suggestions of great people to follow. 81. Colleges and universities. Follow your own school and prestigious departments from around the world so you can keep up on new research, available positions, and other news. 82. Professional organizations. Many professional organizations, even those for academics, have Twitter feeds that are well worth following. 83. Authors. Whether you follow your favourite popular writers or those who specialize in your field, you’ll find a wealth of information and possibly inspiration from other authors on Twitter. 84. Students. 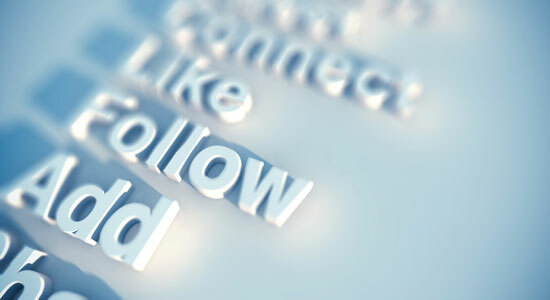 If your students follow you, follow them back. You may inspire them to pursue career goals or build a strong mentor-mentee relationship. 85. Other academics. Seek out your colleagues and academics at schools around the world to foster a stronger community and encourage collaboration. 86. Academic journals. Make sure you never miss a cutting edge article by following big academic journals on Twitter. 87. Mentors. Twitter can be a great place to connect with people who you’ve admired for years. 88. Career resources. Keep your finger on the pulse of your field by following tweeters who share career updates and industry news. 89. Libraries, museums, research facilities. There is no shortage of academically-focused organizations on Twitter. You’ll have your pick of top-notch libraries, museums, research institutions, and nonprofits. 90. Look for lists. If you’re struggling to find people to follow, look for lists of suggestions online or pick an account you love and look to who they’re following for inspiration. 91. Colleges & Universities Directory. Check out this directory to find loads of academic professionals to follow. If you’re looking for some great thoughts on how to use Twitter in an educational setting, check out a few of these astonishing applications. 92. Twitter for foreign language learning. Students in foreign language classes are taking to Twitter to talk with people from around the world and try out their language-learning skills. 93. Cross-classroom collaboration. Why work alone when you can connect with other college classrooms? That’s just what many college classes are doing these days. 94. Host reading discussions. Holding a reading discussion over Twitter gives everyone a chance to chime in, even shy students who might not otherwise speak up. 95. Use Twitter for writing assignments. Want to teach your students the art of brevity? Assign them poetry or prose to be written on Twitter. 96. Teach students how to use social media wisely. Social media is a hot skill in today’s job market, so assignments and coursework that teach students to use social media wisely and help them to learn the ins and outs of online marketing and branding can be especially helpful. 97. Bring historical and fictional figures to life. Some teachers are asking students to create fictional accounts that represent the ideas and thoughts of historical or fictional figures. 98. Let assignments be thoroughly 21st century. Instead of requiring a paper for a course, why not an interactive digital project? Or one that makes use of Twitter? 99. Try out a Twitterwall. Twitterwalls offer students, even the bashful ones, a chance to speak up and ask questions in class. 100. Encourage students to make professional connections. Through Twitter, your students can connect with experts in a variety of fields who can enrich their research and offer potential opportunities for internships and further learning.